With its clean, crisp lines, COLORBOND® steel looks great from both sides of the fence (unlike a timber paling fence). Colorbond steel won’t rot or be eaten away by termites. Once it’s up, there’s very little to do. Because it’s Colorbond steel, you won’t be repainting it every couple of years. With no vertical gaps for prying eyes, a fence made from Colorbond steel is a great privacy screen and secure barrier. For your peace of mind, BlueScope Steel guarantees the performance of fencing made from Colorbond steel with a 10 year warranty on posts, rail and infill sheets. At AA Fencing, we rollform our products using genuine Bluescope steel made in Australia. We specialise in a range of gates including swing and sliding gates, automated so that you can open or close them from the comfort of your vehicle. At AA Fencing we offer an almost unlimited range of gates in light, medium or heavy duty in COLORBOND® or Tubular steel. 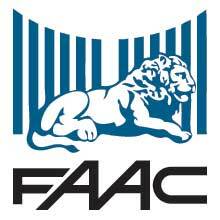 We use only the best Italian motors, FAAC. A lifetime of maintenance free, modern looking privacy screens, fences, gates and much more. Choose between Powder coated and Woodgrain. 5 colours to choose from. Western Australian law requires that a barrier is installed around private pools. Provide a safe environment for your family by installing a high quality pool fence. We fully supply and install quality tubular fencing custom made in a variety of styles and colours to suit your own individual preferences and home requirements. All pool and garden fencing is designed and manufactured to comply with the Australian standards. Strong, durable and maintenance-free, all post and panel retaining walls are steel-reinforced and available in varying lengths. AA Fencing offers prompt service and premium quality products which can be tailored to suit your individual needs. Being the manufacturer and the installer means we are able to provide our clients with large quantities of high quality product. I have used AA Fencing to repair a damaged fence recently and have found their fencing contractors to be very professional in their job and the care given to the project. Happy to recommend them to anyone. made. AA Fencing guys were able to complete the job on time and on budget. Well done guys. I am pleased to recommend your services to anyone. I just wanted to thank you for the AMAZING job your staff did with our fence. You are the best. Best service. Best price. Best People. I am very impressed by the job you did on such short notice. Highly recommended. Our agency has used AA Fencing on a number of occasions for different properties. They have always been very professional and have provided very competitive quotes. I would highly recommend them to any business.